Wow, it's June 25th and our northern Minnesota weather continues to be very cool and either rainy or mostly cloudy. This is the view from my kitchen window today. The potted annuals haven't changed much since being planted. 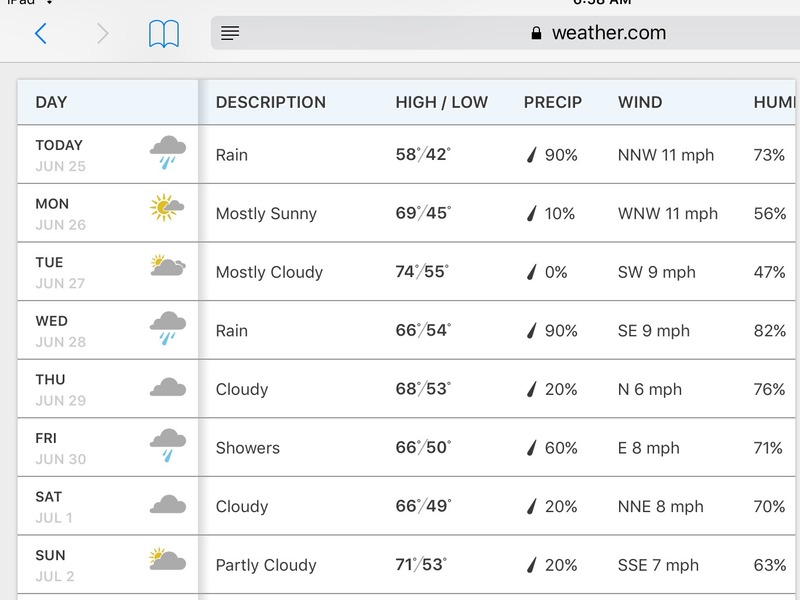 Here is our 10 day forecast! Rain and cool! I think this may be the only place in the world not experiencing any global warming. 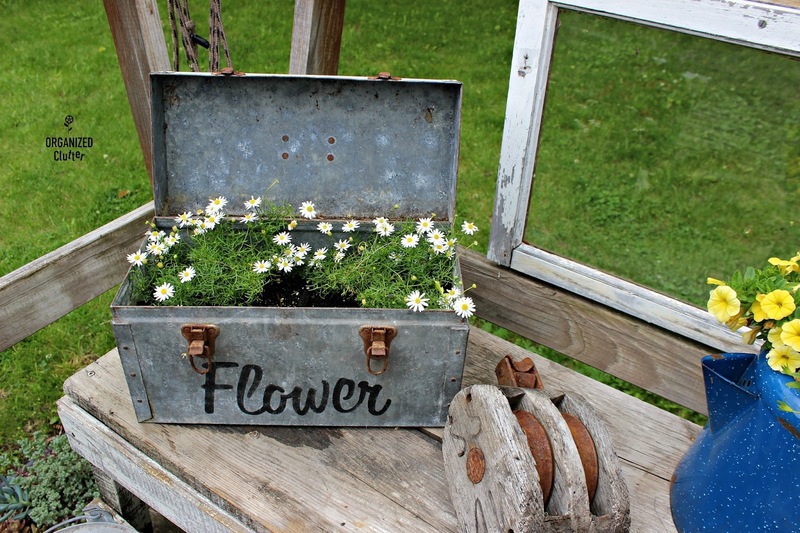 Like this galvanized tool box with Old Sign Stencils market extension stencil and Swan River Daisies. Yellow calibrachoa and a Techno Heat dark blue lobelia in a coffeepot/teapot on an old bench on the deck. 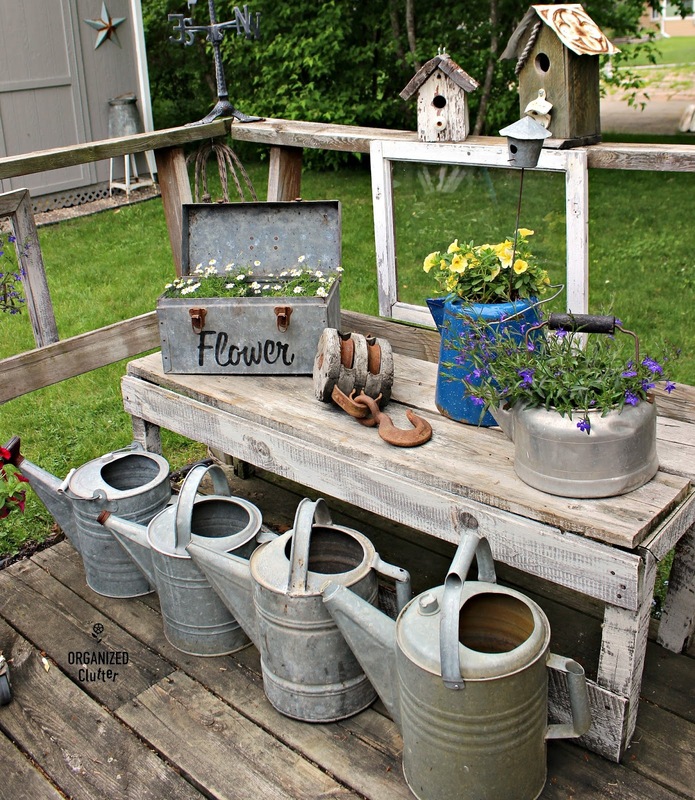 Lots of galvanized pieces here! 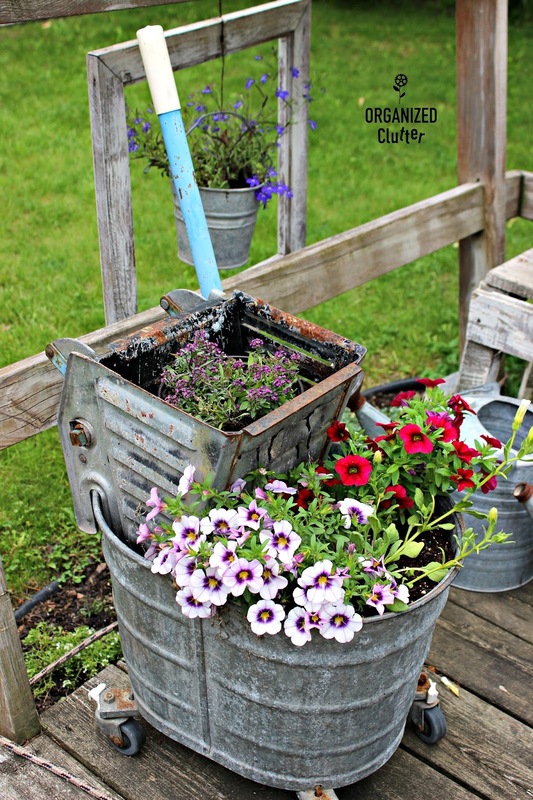 Here is a double-decker mop bucket with two colors of calibrachoa and Nolana Snowbird (Chilean bell flower) on the bottom and purple alyssum barely creeping over top tier of the bucket. 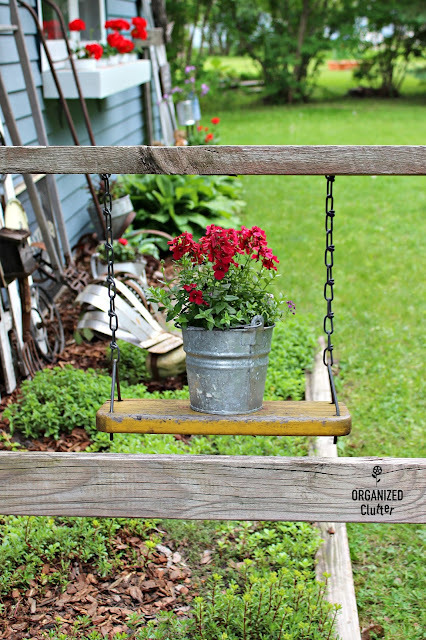 I have a red diascia planted in a bucket on my wooden swing again this year. 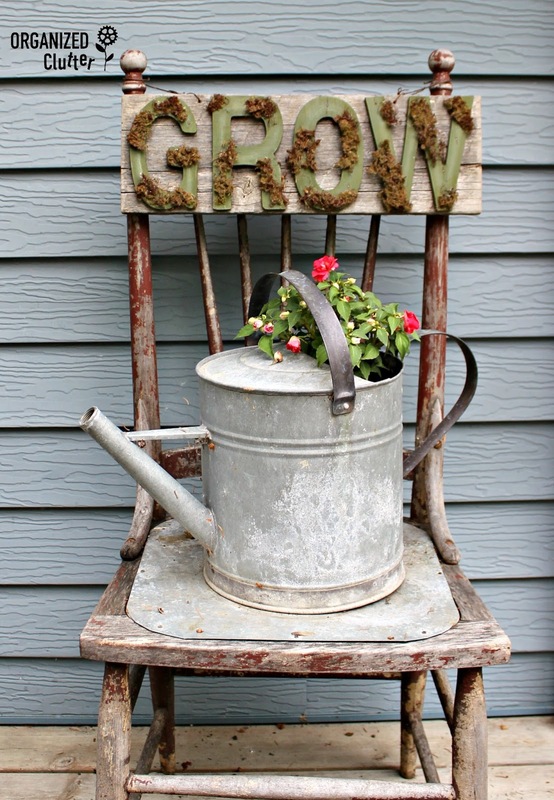 Rosebud impatiens in a watering can on a very rustic chair. 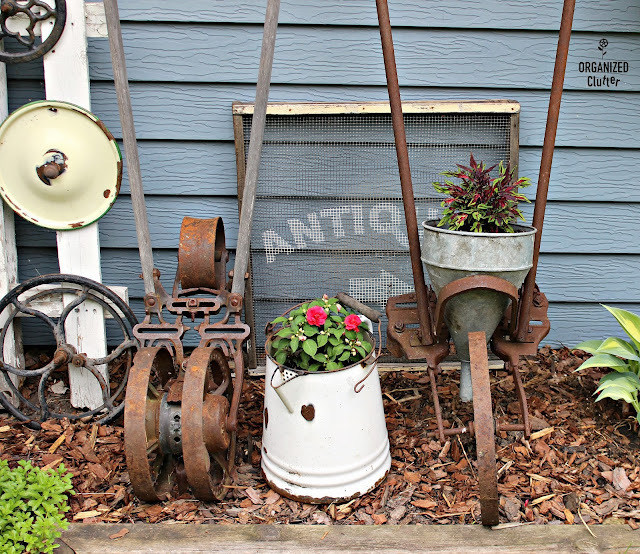 Here rosebud impatiens and a coleus are planted in an enamelware pot and funnel among rusty tillers. While I'm disgusted with our weather, the flowers all seem to flourish in July!